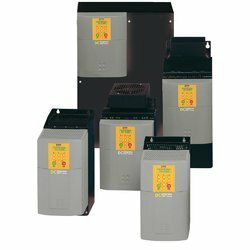 Parker offers a complete range of digital and analogue DC variable speed drives for a wide variety of applications ranging from 1 to 1950A. 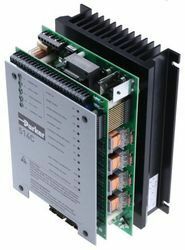 Parker DC drive solutions range from basic motor control to advanced, closed-loop process line applications. The regenerative 514C DC thyristor drive offers full four quadrant control of DC motors from single phase supplies. As such it is ideal for applications involving overhauling loads or where rapid and accurate deceleration is required. Together with the non-regenerative 512C they offer the perfect solution for lower power single motor and multi-drive applications. The 514C can be used “open loop” with armature voltage feedback, or with DC tach feedback for enhanced regulation and speed range. Chassis mount IP00 rated, with output ratings up to 32A/10HP, typical applications include machine tool spindles, wire drawing machines and winders/reelers. Isolated control circuitry, a host of user facilities and extremely linear control loop makes the 512C series 2-quadrant DC drives ideal for single motor or multi-drive low power applications. Designed for use on single phase supplies, the 512C is suitable for controlling permanent magnet or field wound DC motors in speed or torque control. It can be used “open loop” with armature voltage feedback or with DC tacho feedback for enhanced regulation and speed range. Chassis mount IP00 rated, with output ratings up to 32A/10HP, typical applications include centrifugal fans and pumps, extruders and mixers, plus small paper converting machines. We offer Control Panel with Accessories for our valuable customers at standard market prices. We study these plants before designing the solutions, to ensure high standards of quality. These control panels and the necessary accessories associated with them, are fully tested before being dispatched to our valuable customers. We offer an optimum quality after sales services to our valuable customers. We offer these services as per the specifications are requirement of our valuable customers. 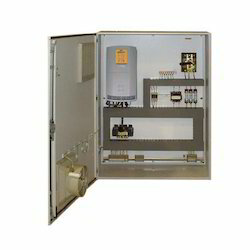 These solutions are offered with microprocessor based PID control devices suitable for panel and valve mount. These solutions are designed and developed for analysis of any liquid or gaseous media in a wide range of sizes and body materials. We believe in effective and timely services to our valuable customers. 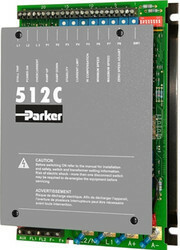 Looking for PARKER MAKE DC DRIVES ?